this is my first review for this month.. 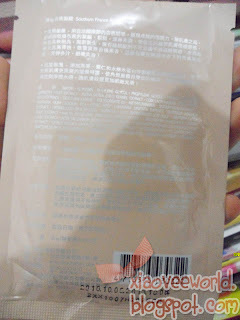 Many people satisfied with this brand, and MBD released many cute and useful mask sheets for daily use! If you're living in Indonesia, the retail price is around IDR 15,000-25,000. 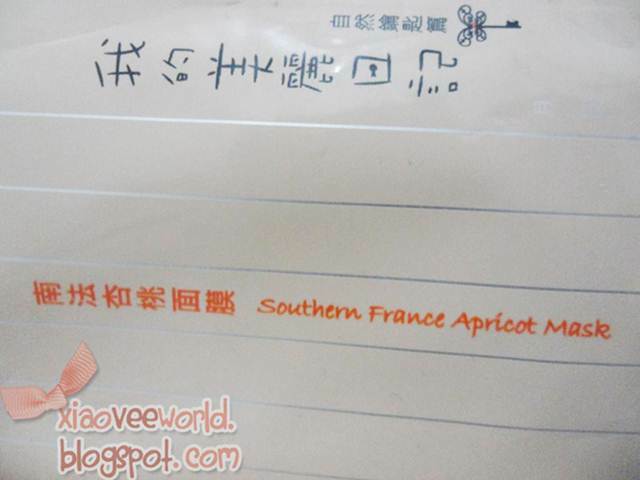 My Beauty Diary Southern France Apricot Mask softens, smooths and highly moisturizes the skin.Apricot extract from southern France provides excellent moisturizing effect. It quenches the thirst of skin, leaving dry skin keenly comfortable. The skin surface will be inscrutably velvety to the touch. Added with extracts of highly moisturizing grain, such as oat, job's tears and hydrolyzed rice protein, it gives more in-depth nourishing and nursing effect to dry skin. The stratum corneum is fully soaked in moisturizing ingredients. 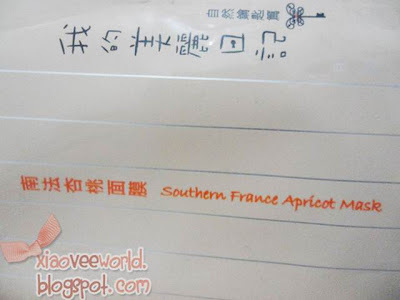 It maintains skin’s suppleness, elasticity, fairness and clearness. 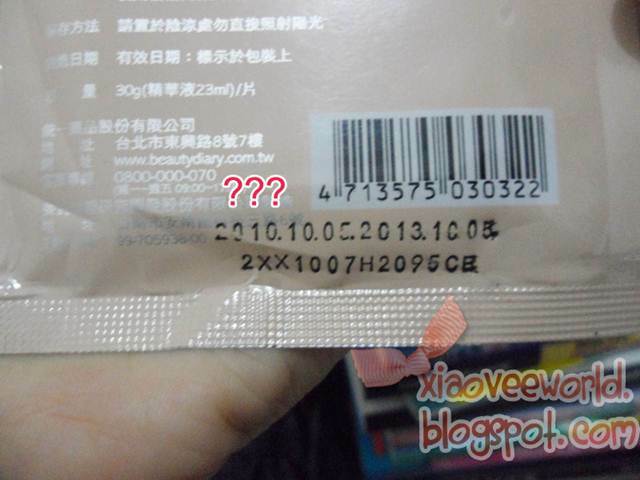 It is suitable for normal skin. It is especially recommended for dry skin and combination skin that tends towards dryness. After cleansing and toning steps, tear off the package of the mask and gently place it on the face. Leave on for about 20 – 30 minutes. Then remove the mask. Massage the remains, if any, into the skin. Follow with normal skin care procedure. 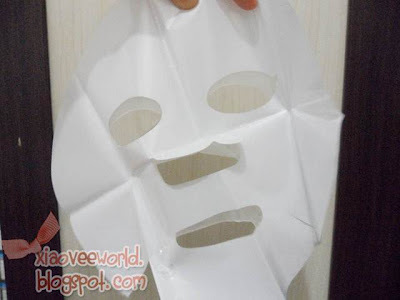 I was quite surprised with the mask sheet.. It contains two masks! The one is the mask itself, and the rest is plastic cover for the mask sheet. I thrown the plastic cover to garbage bin, it's only for protection to the essence of mask, isn't? o_O (help me if i'm wrong). 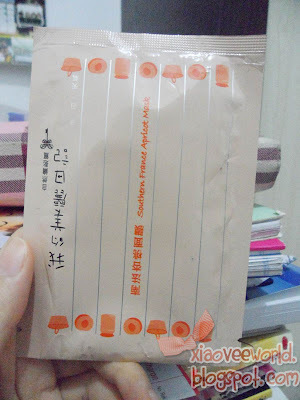 after 20 minutes, I peeled of the mask and my skin feel so refresh, and quite moisturized! My verdict = my skin didn't feel any significant progress after used the mask sheet.. only feel hydrated and refresh.. but it's only temporary.. I know some Asian (especially Korean) cosmetics tend to print the manafacturing date on their products so I think this is the same. The other numbers on it is probably the production batch code.